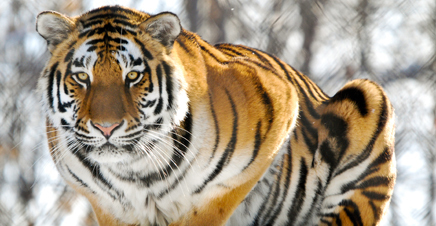 Monroe County's Seneca Park Zoo is open year-round for visitors of all ages. There are hundreds of animal species to visit and say hello to including the only African Elephants, White Rhinos, and Bornean Orangutans in New York State. 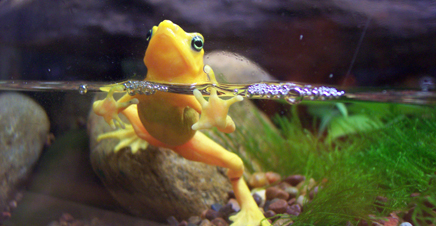 The Seneca Park Zoo is accredited by the Association of Zoos & Aquariums and is home to 15 Species Survival Plan animals. Please go to the OFFICIAL ZOO WEBSITE for more information, hours and rates. Opened In 1893, Seneca Park is one of the Rochester area’s parks that were designed by the landscape architecture firm of Frederick Law Olmsted. The park opened in 1893 and animals were first displayed there a year later. The zoo originally featured different species of deer and some birds, and had an outdoor aviary next to the trout pond in the lower park. During part of the year, some of these animals were displayed in Durand Eastman Park. 1931 saw the first major addition to the zoo, when the main zoo building was completed. It featured a wide variety of exotic animals that hadn’t been displayed at the zoo before. One of the most famous residents of that building was Jimmy the Chimp, who, at the time of his death at age 55 on September 17, 1985, was the oldest chimpanzee in captivity. When first opened, this building was true to the menagerie style of most zoos of the time, featuring dozens of unrelated species in a fairly compact space. In 1957, the Seneca Park Zoo Society was chartered as an educational institution by New York State. Since that time, the Society has evolved into a non-profit organization that supports and promotes the zoo by running educational programs, special events, marketing and public relations efforts, fund raising, and food and gift operations. The Society offers memberships that are very popular with area families. The next major improvement to the zoo was opened in the early 1970s and provided a polar bear grotto, which was a great improvement for the zoo’s two famous polar bears, Penny and Nickels. As their names suggest, Penny and Nickels were brought to the zoo through the pennies and nickels collected by the area’s school children. There had been no other major physical improvements to the zoo until 1993, when the Genesee Trail and Discovery Center opened. This exhibit was the first phase of the development plan funded by the Seneca Park Zoo Society and adopted by the Monroe County Legislature in 1991. The new exhibit was the first of the natural habitat, landscape immersion exhibits at the zoo. These exhibits are the future of zoos, and help the visitor see what the animals are like in homes reflecting their native ones in the wild. This exhibit was built with $2 million of Society-raised funds and $500,000 of County funds. The Rocky Coasts exhibit, opened in 1997, was built with $7.75 million of County funds and $450,000 of Society-raised funds. This state-of-the-art facility provides many of the zoo’s animals with more spacious natural homes, and the zoo’s visitors with an incredible experience of seeing the polar bears and sea lions under water. The zoo's attendance reached a record-breaking 506,660 in 1997; demonstrating the strong interest in the zoo of local residents. The zoo continues to be one of the leading attractions in this area. Improvements continue to enhance the zoo experience. The dedicated keeper staff goes above and beyond the call of duty to enrich the lives of all the animals, paying special attention to the animals in some of the zoo’s older sections. While these homes may be older, the number of species represented has been reduced to give the ones remaining larger living spaces. These spaces have also been enhanced to keep the animals interested and healthy. Many recent renovations have taken place, including relocation of the entrance of the zoo to provide a more convenient and welcoming experience; a new covered deck to accommodate food service patrons during inclement weather and also new playground equipment. Learn more by visiting the Seneca Park Zoo website.